Even though companies like Barnes & Noble are still trying to compete with Amazon in the ultra-low-cost tablet category, it almost feels physically impossible to beat a $50 Fire 7 with a quad-core processor and decent battery life or an $80 "all-new" Fire HD 8 that obviously sports a respectable 1280 x 800 screen. The only way to get a functional slate for even less money is settling for refurbished versions of old Amazon Fire and Fire HD generations, which occasionally go on sale on websites like Woot at truly unbeatable prices. Case in point, the latest garage sale organized by the Amazon-owned e-tailer under the hilarious slogan "make our crap, your crap." 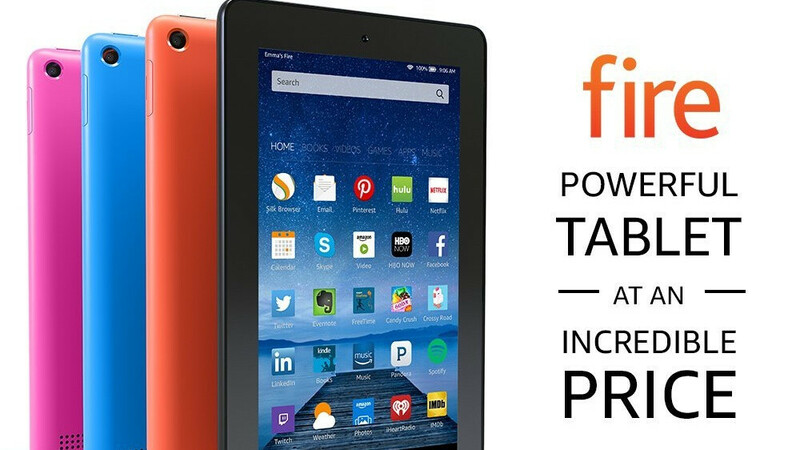 While there are indeed some crappy products discounted as part of this promotion, the 2015-released Fire 7 and 2014's Fire HD 6 could make professional bargain hunters very happy at $15.99 and $20.99 respectively. As you can imagine, these aren't exactly great devices by today's standards. They're adequate at best, running ancient software on top of fairly unattractive hardware, with specifications long considered outdated. Woot also sells them with a "moderate level of wear & tear" that would normally be graded as "unacceptable" by Amazon. But let's think about alternatives for a second as well. Or rather a complete lack thereof, as there's simply no other way to get a tablet in full working condition through a trusted retail channel at a comparable price. Woot even throws in a 90-day limited warranty to assuage all your concerns regarding the functionality of the Amazon Fire 7 and Fire HD 6 units on sale for five more days. Or until sold out, which could well happen earlier. After all, it only took a few hours for Fire 7 inventory to run out about a month ago at the exact same $15.99 price. As a final little perk, Amazon Prime members are also eligible for free nationwide standard shipping, whether you're thinking about ordering the larger model with lower 1024 x 600 screen resolution or the 6-incher sporting an "HD" 1280 x 800 pixel count. The two humble slates are otherwise very similar, sharing quad-core processing power, 8GB internal storage space, a 2MP rear-facing camera, VGA front shooter, and 7 or 8 hours of maximum battery endurance in typical usage scenarios. Amazon needs to add Alexa to their tablets that are sold in other countries. If Amazon brought Alexa to the Fire tabs, then I would have bought more of them, but since they haven't brought that feature to other countries, then I won't buy anymore.